Want to know something about a metal roof? All metal roofs are energy efficient, 100% recyclable, reduce the heat island effect, and durable. 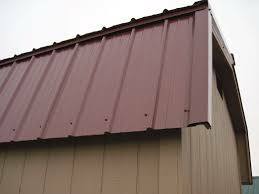 The metal roofs we focus on are hidden fastener and exposed fastener. If you are strictly looking at energy efficiency, the coated colored metal give you the highest efficiency and the lighter colors typically give you the highest within this category. Changing your roof from asphalt shingle to a metal roof will give 15%-30% reduction in energy consumption due to the reflectivity and emissivity of the metal material. The energy savings is based on the assumption that you do not have any existing major energy leaks in your home or do not have other energy efficient materials installed in your home. The reflective coatings that come with pre-painted metal coils will add to this efficiency. The metal roofs are typically rated Class IV impact and can warrant a discount on your homeowners insurance. The discount will depend on your insurance company and how their discounts are structured. Make sure your insurance policy has cosmetic coverage (i.e. hail damage) because some insurance companies have you opt in for this coverage and some have you opt out of this coverage which could depend on whether you get your roof replaced from a hail storm. 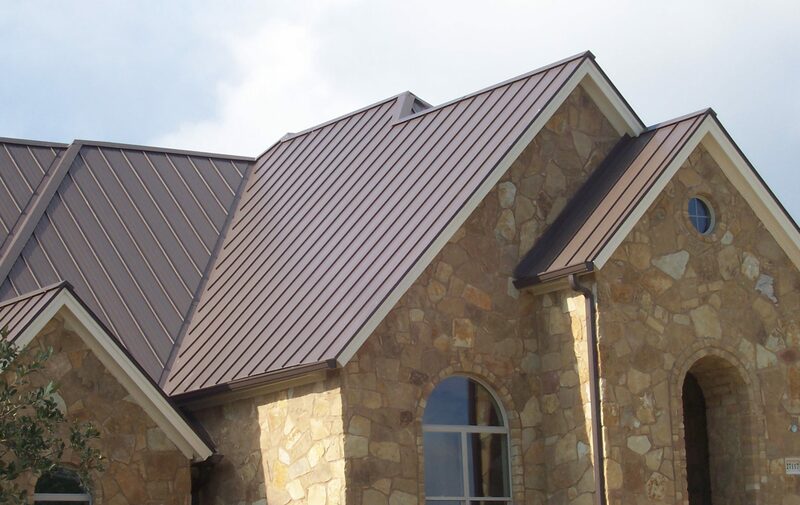 Metal roofing systems available are exposed fastener, standing seam (snaplock and double lock) and metal shingles. The standing seam panels hide the fasteners or screws and typically have a seam height of ¾ inch to 3-inches. The panel widths vary from 9" to 21" typically. The panel designs can be permanent locked (i.e. double lock) and removable (i.e. snap lock) style panels. The snap lock panels are the easiest and least expensive for routine maintenance and repairs. The colors range from galvalume (aluminum/zinc) material to a wide range of colors. Most of the colors on the pre-painted panels are energy efficient and have reflective additives in the coating. If you are looking for the highest energy rating you will want a lighter colored panel. Galvalume material is the least expensive of the standing seam materials. Make sure when you are choosing a pre-painted metal roof panel that you get a material with energy star rating and a Kynar 500 or Hylar 5000 additive in the paint coating for resilience. These can be identified by the visibility of the screws that secure the steel panels. The best applications for these roofs are barns, awnings, sheds, porches, and non-critical areas. The exposed screws tend to “back out of the wood” of the original hole over time due to expansion/contraction of the metal and movement of wood joints on the structure. This will cause holes and water intrusion points. The time period for the fasteners to “back out” varies from 5 to 15 years. This is the cheapest of all the metal roofing because the material is widely manufactured and the labor installation takes less time. These panels are typically 2-3 feet wide, painted, and non-painted. The non-painted panels are galvanized (100% zinc coated) and galvalume (55% aluminum/45% zinc) and are the less expensive than the colored coated panels. Typically, the 3-foot wide panels are the cheapest of styles in this category. Typical exposed fastener panel styles are R-panel (3 feet wide and 1 foot between seams), texas rib (3 feet wide and 6 inches between the seams, and 5 V crimp (2 feet wide and 1 foot between the seams). 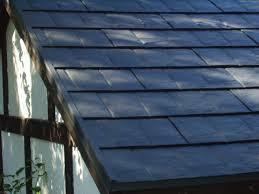 The individual shingles typically are roughly 13” x 39” and shaped to give a shake, tile, or shingle look. These are all coated and colored. These roofs are more expensive due to material and labor cost. There are a myriad of manufacturers of these metal shingles and each has its own nuances as to how they need to be installed. These are typically coated, energy star rated, individually stamped under high force for shape, and 26-gauge steel. The recycle content in the steel is higher than standing steam panels because the individual panels are smaller. The wind ratings for these systems range from 110-130 mph.